847.570.1700 224.251.4569 fax Get Directions This location is wheelchair accessible. 847.570.1700 847.982.1098 fax Get Directions This location is wheelchair accessible. 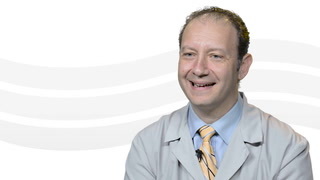 dr theoporodolis is kind, a great listener and has a great way about him. *Dr. P. Theodoropoulos is very good doctor!!! fantastic experience. I had a dizzy spell at the end of the consultation and the doctor and nurse were both very attentive and made sure i was okay and looked after. Thye did not rush me ut and let me stay on the rooms till I was fully recovered. May be I must have the hernia operation sooner. Dr. Philip Theodoropoulos performed surgery to repair my abdominal hernia with excellent results. I have tremendous confidence in his medical expertise. In addition, I found him to be kind, compassionate, and thoughtful. He listened carefully and explained thoroughly, and he took the time needed for my follow-up appointment in the outpatient clinic. I still have one unanswered question... who does the pre surgery tests? I never heard back as to who to schedule with. I could call but haven't had time.. only messaged.